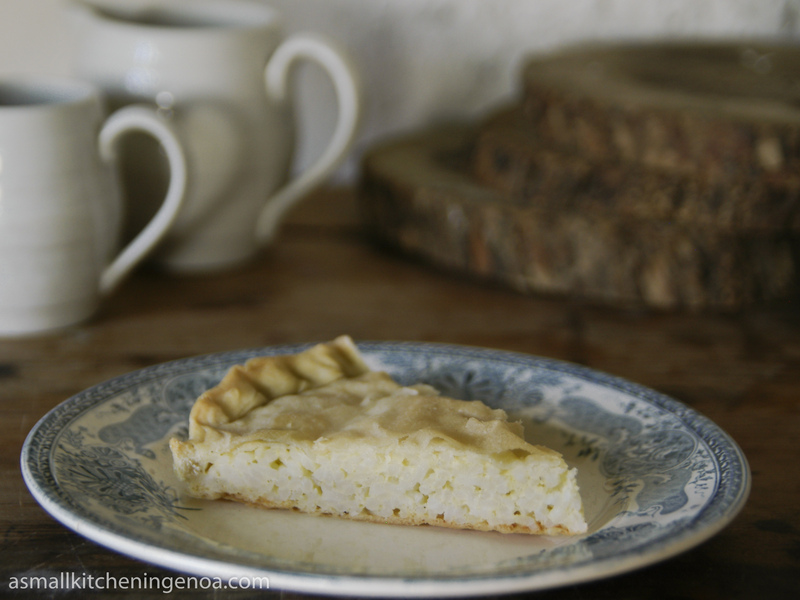 How many times I found myself buying a piece of Savory Rice Pie to stop the hunger pains at lunch time? 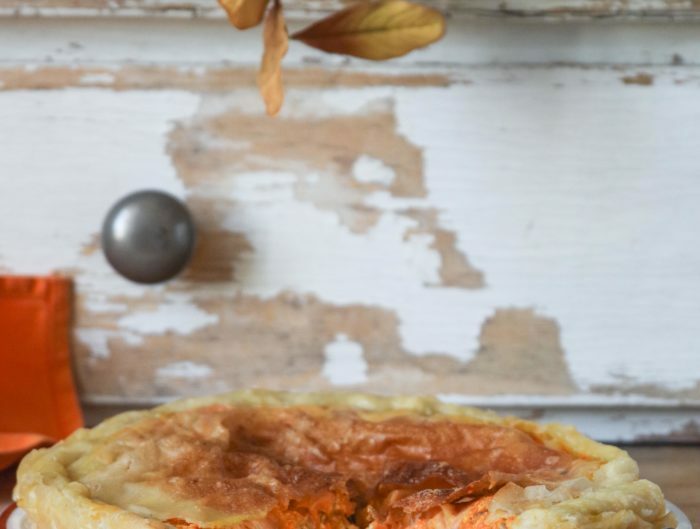 The reason probably is that this savory pie is actually the street food version of one of my favorite plates when I was a child: the savory rice pudding (riso al latte, in Italian). And so, like a madleine for Proust, each time I bite a slice of rice pie I remember when I was 4 or 5 years old and my parents went out for dinner with friends. My mother used to prepare for me and my brother our favorite savory rice pudding. Such a wonderful and clever booby prize for a daughter who hated remain without mom at bed time but was so much greedy! I use to prepare it at home for a light lunch in the week ends or for friends: cut in cubes it’s a perfect appetizer. Probably it has not the same reviving effect on my fellows, but no matter, it’s so tasty and so good to me! Here below is the recipe of my Italian granny. She used to cook it sometimes. I prepared (and photographed) it for the post in the kitchen that once belonged to her and with her eternal kitchen tools, can you see? 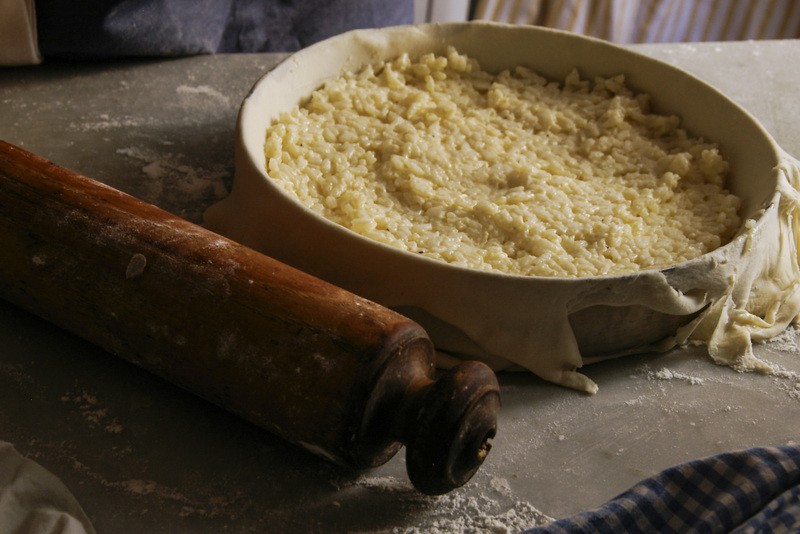 Put the flour in a bowl, add 80% of the water and the tablespoon of oil and start kneading. 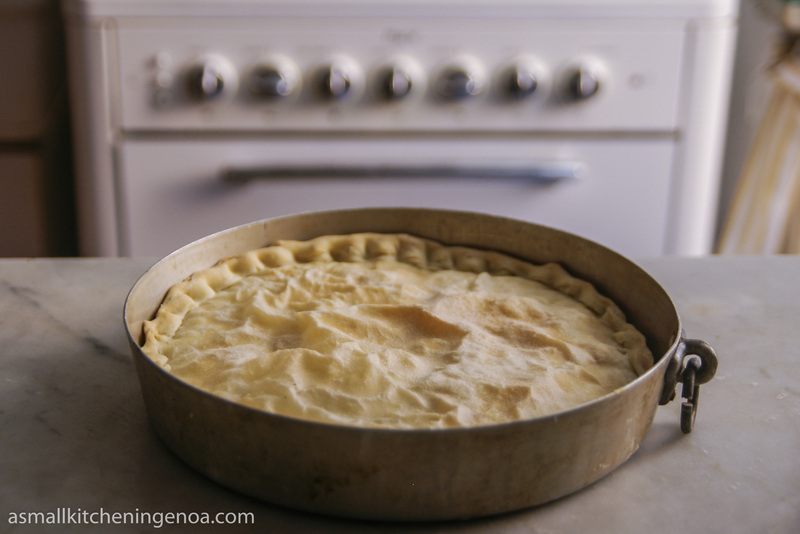 If necessary add some more water from time to time until the dough is firm and homogeneous. Continue kneading on a surface well dusted with flour for 5/10 minutes. 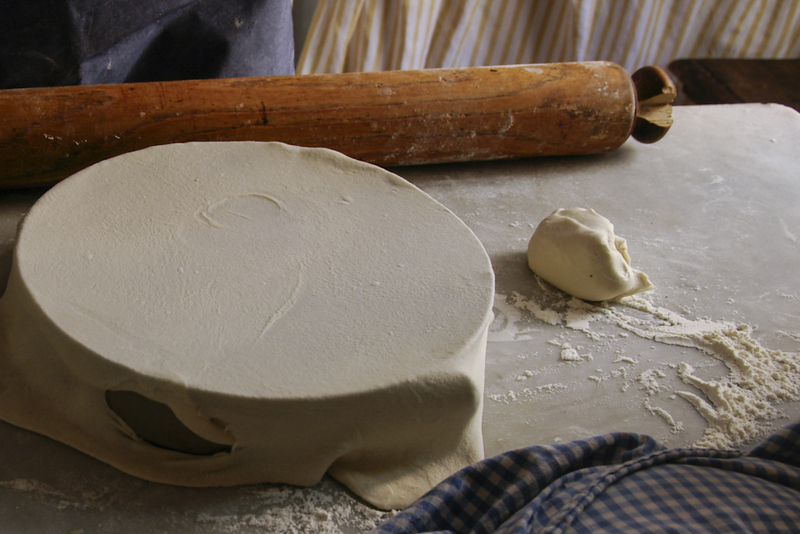 The dough will become more and more elastic this way. 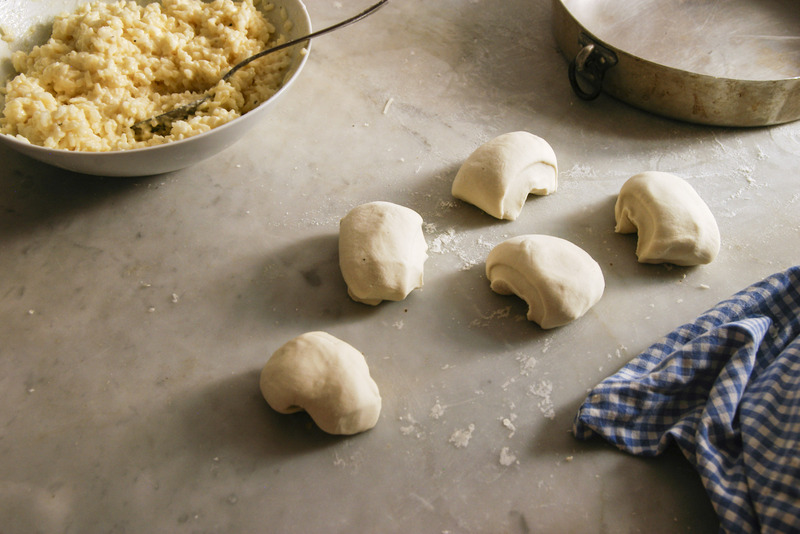 Divide the dough in 5 small balls of the same size, cover with a cooking film and leave in the fridge for at least 1 hour. Boil the whole milk in a saucepan. Add the rice and a generous pinch of salt. Cook over a low heat stirring from time to time until the rice is ¬¬_al dente_. Put out of the fire, pour in a bowl and leave the rice and milk get cold (the rice will absorb the remaining milk getting cold). While the rice cooks, cut in slices a small onion, put it in a skillet with 2 tablespoons of extra virgin olive oil and golden over a low heat for 5 minutes or until soft and gold. Grease a cake tin of 24/26 cm (ab 10 inches) with olive oil. Take one of the dough balls from the fridge (leave the other in the fridge) and roll it with a rolling pin or by hands on a surface well dusted with flour . Roll until 1 mm (0,04 inches) thick and wide enough to cover the cake tin and get out of the edges for a couple of centimeters (ab 1 inch). 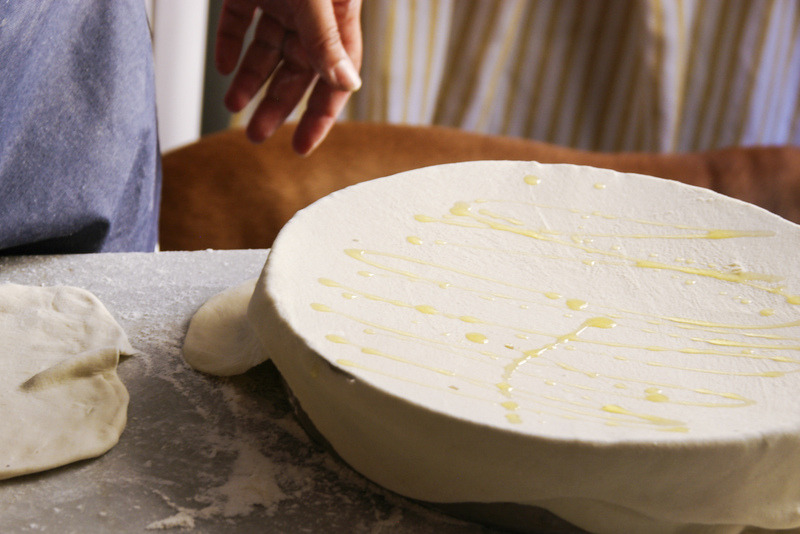 Cover the tin with the rolled dough and grease the surface of the dough with a very thin film of olive oil. Repeat the same operation with other two dough balls remembering to grease with oil the surface of the rolled dough each time. 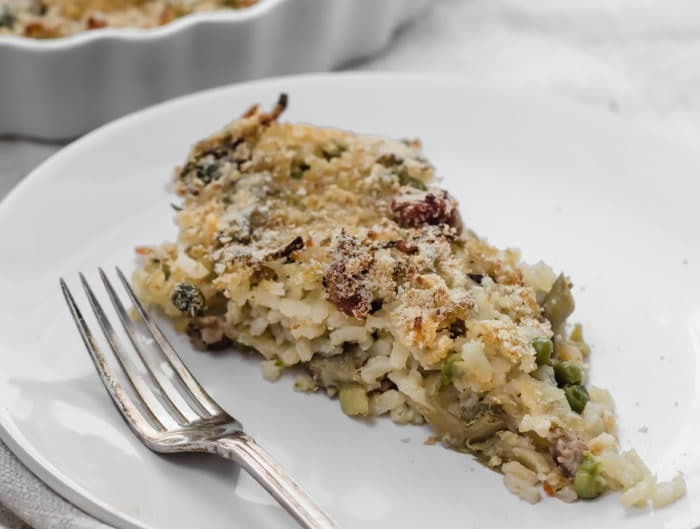 Once the three layers base of the pie is finished and the rice is cold you can preheat the oven and go ahead with the filling: add to the rice 2 egg yolks and 1 white, the golden onions and the three cheeses (ricotta, sour cream and parmesan cheese). If the dough results too firm add a tablespoon of milk. Adjust with salt, pepper and nutmeg to taste. 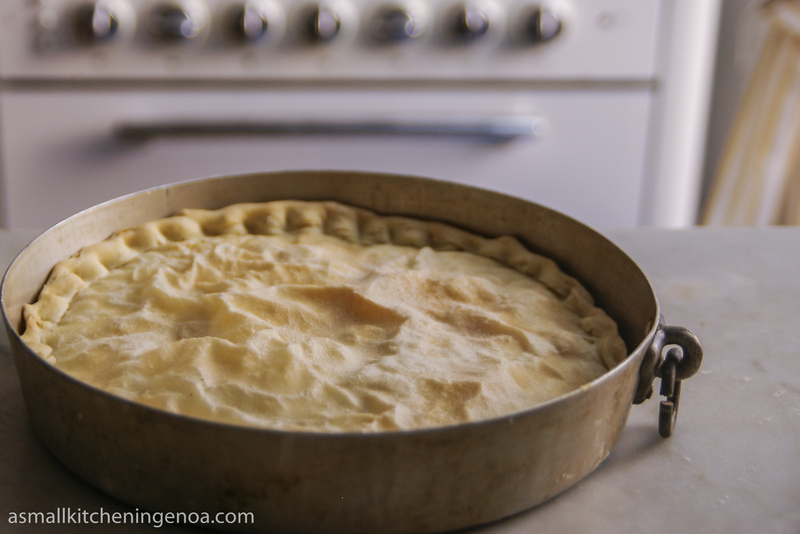 Pour the filling in the tin and cover with other two layers of dough finely rolled and greased with oil as above. 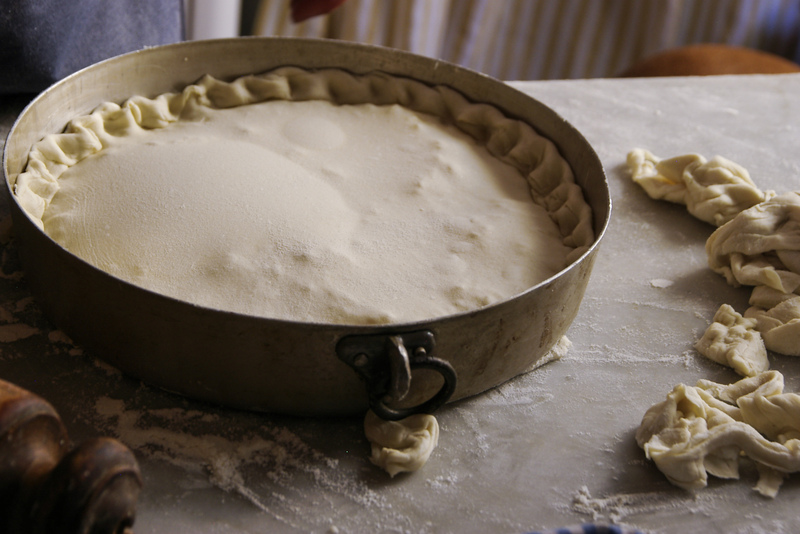 Once the cover is completed, roll the edges to seal the filling being careful not to leave holes. Cook in the oven at 200°C (425 GF) for about 30 minutes or until the dough will be gold and crispy. Pumpkin time? 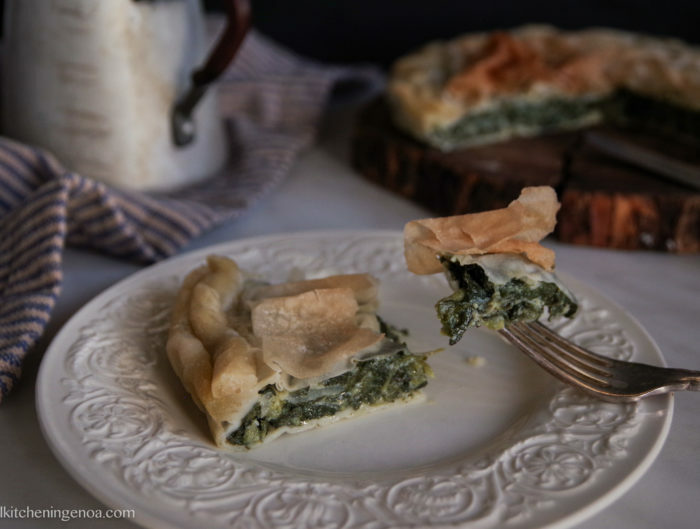 Let’s savory pumpkin pie! Genoese Roasted rice, a recipe from a friend.